Could we see a 9th winner in 9 Martinsville spring races? If you’re looking for a track that’s had a lot of recent variety in victory lane, Martinsville is a good place to start. The spring race at the half-mile track has had eight different winners over the last eight seasons since Denny Hamlin won in the spring of 2010 in the middle of a three-race win streak at the track. Crazy enough, all eight drivers are still active in the Cup Series. And because they are, the chances of a ninth winner in nine years seem pretty slim. If you’re picking a driver to win that’s not on that list you’d probably focus on Joey Logano. He got his first Martinsville win in the fall and has an average finish of 13.7. Oh, he’s also the defending series champion and has already won a race in 2019. Outside of Logano, the pickings are pretty slim, though Chase Elliott wouldn’t be a bad bet either. He’d have four straight top-10 finishes at Martinsville if it wasn’t for that whole thing with Hamlin in the fall of 2017. An Elliott win would give Hendrick Motorsports some 2019 success. And it desperately needs some. OK, saying it’s time to be desperate five races into a season is a tad hyperbolic. But Hendrick Motorsports’ four drivers do not have any top-five finishes so far. Kurt Busch is the only Chevy driver who has a top-five finish. Elliott is the team’s highest driver in the points standings. He’s 12th. Johnson is 14th while Alex Bowman is 16th and William Byron is 19th. Can we get a caution? Or five? 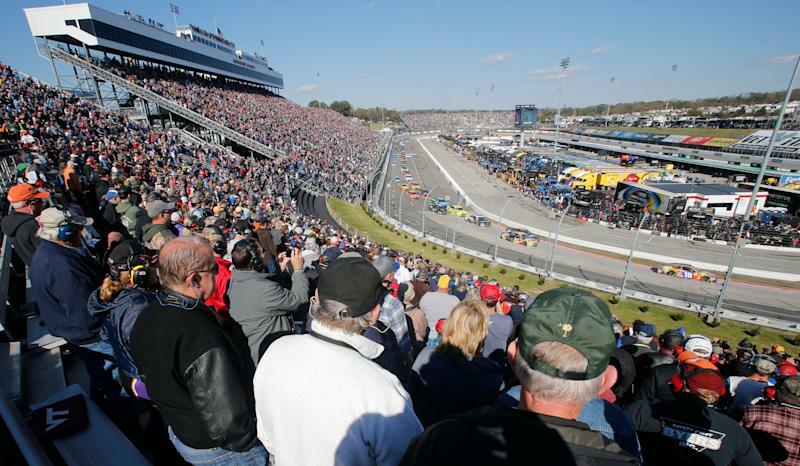 No matter the winner, Martinsville is also the first track on the 2019 schedule that shouldn’t be drastically affected by NASCAR’s new rules for Cup Series cars. Dirty air is rarely a problem at the track. That’s a good thing. Because the Cup Series could use some fender banging and some cars spinning. Tire issues caused cautions at Phoenix, but at the three intermediate track races that have followed the Daytona 500 there’s been just one caution for a car spinning around. Part — not all — of the appeal of NASCAR racing is the possibility that drivers will crash. Though it’s also worth pointing out that they hardly crashed at all last spring at Martinsville. The race that Bowyer won to snap a long winless streak had just one natural caution and featured three green-flag stretches of over 100 laps. It was the fewest cautions in any Martinsville race since 1978. And no, there was no stage racing with pre-planned cautions in 1978. Maybe the fact that the race was run on Monday had something to do with it. After a Sunday race canceled by snow, perhaps drivers just wanted to get home and have a beverage. With Martinsville being so close to Charlotte, the track is having a two-day schedule this weekend. All practice sessions are on Saturday and qualifying is at 5 p.m. ET after the Truck Series race. Kyle Busch is in that Truck Series race too. There’s a decent chance he could head into the Cup Series race on Sunday with a two-race Cup Series win streak and 201 career NASCAR wins.